In a recent Q&A session on the ResetEra forums, Insomniac Games was asked about a Sunset Overdrive Xbox One X patch in the future. 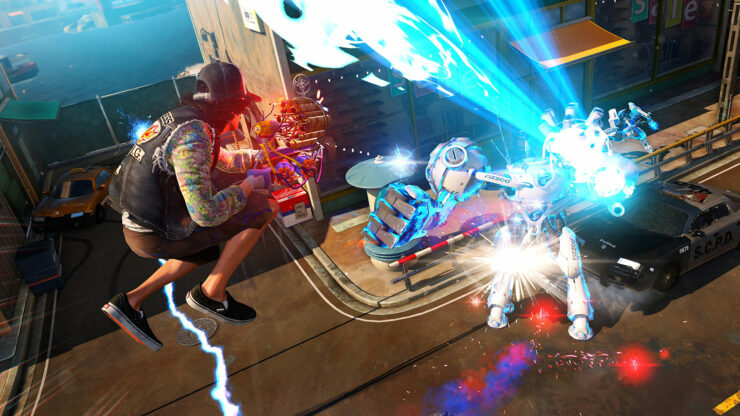 Those who have been hoping for Xbox One X enhancements for 2014’s Sunset Overdrive will be disappointed to learn that Insomniac probably won’t be able to pull off an Xbox One update in house due to the game’s engine having evolved since the game’s release, the new hardware inside the Xbox One X, the amount of recourses needed, and the current focus on the upcoming Spiderman for Sony’s PS4. Back in October of last year, Insomniac already said that there are no plans for an Xbox One X update. Sunset Overdrive was released exclusively for the Xbox One in 2014. The rights to the franchise belong to Insomniac Games, and a sequel would be possible if the studio would find a publisher for it.